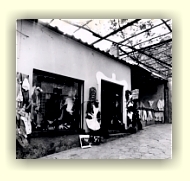 On the way to the beach, at 22 via dei Mulini, you will find the POINT SALE LOUISE, established in 1961, for a choice of Luisa Barba. Luisa says that she was always fond of dresses, since her teen years. To talk about clothing made in Positano, we must go to the end of years ’50. Then, some local tailor, mending or tailoring dresses or trousers for the tourists, start to produce ladies and men’s wear. 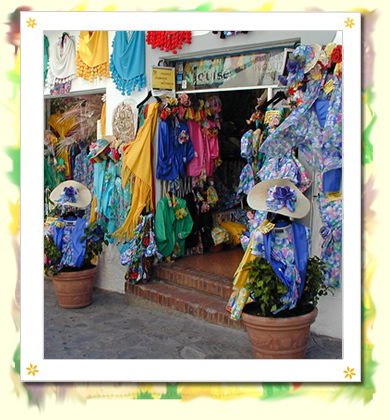 And so , along the years, many other done the same and so factories and shops began to produce fashion, well known as MODA POSITANO. Louise’s style is made from textile and original design, prints with floral pattern realised for an hand made production and strictly MADE IN POSITANO. Besides my husband, partner in this adventure for all these years, entered as Louise’s staff our son Manlio and his wife Valentina and our son-in-law Nico. And, of course, all our other partners working in the factory. Then, several are the newspapers and turistic guides that along the years have written of us. Since 1963 (august 5) when the newspaper “ROMA” he was writing, with for sight, which has then become our history. “La Repubblica”, “Il Mattino”, guides like Frommer’s, Lonely Planet, Traveller, Touring Club, and others they show as fundamental stage “Boutique Louise” of Positano (see: about us). “Moda mare a Positano” years 1997-98-99 Canale 5.